Traditional Chinese Medicine (TCM) is a comprehensive system of diagnosis, treatment, and preventative healthcare. This ancient healing art has been practiced for over 3,000 years and has been offered in the United States for more than 150 years. Oriental medicine focuses on the cause of the disease (seen as an imbalance) in relation to the environment, the seasons, nutrition, lifestyle, emotional state, immunity, blood circulation and energy (Qi). Acupuncture is a treatment for the person as a whole. TCM is based on the concept of a vital energy called Qi. Qi travels along 14 main paths, called channels or mericians. Illness or pain occurs when this energy flow is blocked or weakened. Stimulating points along the meridian restores the balance of energy flow in the body, helping to relieve pain and promote wellness. The most common treatment with TCM in the United States is acupuncture. Acupuncture is performed with thin and flexible FDA approved needles that are sterile, single-use and disposable. Heat treatment, cupping, moxibustion, Tui-Na, Shiatsu, and Chinese herbal medicine and Tai Chi exercise are some of the other treatments offered. Herbal medicine is as old as humanity itself. Thousands of yearsof human trials have brought about the evolution of the most incredibly sophisticated system of diagnosis and treatment using herbal medicines. Herbs may be prescribed to enhance the benefits of acupuncture or they may be used as a sole treatment. Among other conditions, the World Health Organization (W.H.O.) has determined that TCM is effective in treating pain (acute and chronic), premenstrual syndrome, gastrointestinal disorders, headaches and migraines, acute and chronic sinusitis, sciatica, lower back pain, bronchial asthma, common cold, post-stroke, diarrhea, facial palsy, and constipation. Tui-Na goes beyond convential massage. 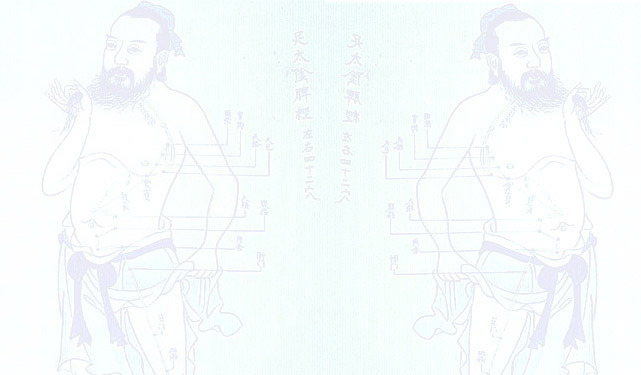 Tui-Na is a muscular manipulation using the hands and fingers to press, push, pull, spot draw, and tremble points along the meridian. These actions help to promote the balance flow of Qi and blood within the tissues of the body and thus treat disease. Specialists are able to treat a wide range of conditions effectively. Stiff neck, spondylopathy, acute and chronic lumbar strain, sciatica, frozen shoulder, tennis elbow, arthritis and recovery after and injury are a few of the conditions treatable with Tui-Na and Shiatsu. Tai Chi is a healing exercise because of its reputation for alleviating many elments such as hypertension, gastric problems, arthritis, heart disease and anemia. It improves circulation, balance and helps relax and strengthen the nervoud system. Tai Chi exercise is also easy to learn with a Master or through video tapes. Our traditional Chinese Medicine staff and acupuncturists are educated and graduated in medical school in China over twenty-five years ago. They have experiences in both eastern and western medicine. They are all licensed acupuncturists in California and masters of Tai Chi. There are many health insurance plans that cover acupuncture. Call your insurance to inquire if the have acupuncture benefits. Alternatively, you may have our helpful staff assist you with this process, Medical accepted.